This is the number of dozens of eggs we need for the month of December to make budget at MozOvos! Will you please pray with us about these things? 1. 137 dozen eggs is needed to buy chicken feed and pay salaries. 2. The vendor that was providing us with hens went bankrupt, leaving us high and dry for the remaining 3,000 chickens he was to provide. This is a serious setback, but we keep reminding ourselves this is God's work, not ours. 3. Pray that we will learn the lessons God has for us to learn. That our faith will grow and as we pray together and see God answer, God will strengthen the faith of our interns as well. WE EXPECT GREAT THINGS FROM GOD IN ANSWER TO OUR COLLECTIVE PRAYERS! "TIA-This Is Africa!!!" A common saying for us. This crazy story will explain what we're talking about. 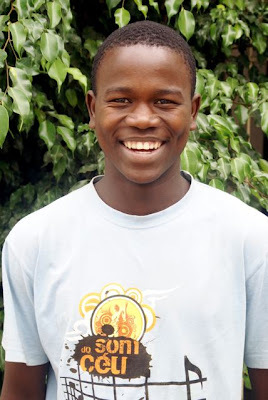 Daudi, the young intern from Mbezi Chapel in Tanzania, has had to overcome a number of obstacles to participate with us. It all started when he tried to get his passport in Tanzania and found out that he is not legally a citizen of Tanzania, though he was born there. Some issue with his grandparents and parents being from Mozambique and not registered in Tanzania. Obtaining Tanzanian citizenship seems impossible or at best, extremely difficult. He has been a man without a country, but was given travel papers by immigration in Mozambique to be in the country for 1 year. Daudi had to learn portuguese, live with people he couldn't communicate with and try to figure out life here. He has done very well and is adored by all of us. Through some investigation here in Mozambique, we discovered that due to a huge number of unregistered births in Mozambique, there is a legal process for adults to obtain a birth certificate. So, on Thursday, Daudi signed his own birth certificate here in Mozambique! He is a citizen of Mozambique! 24 hours later, he was detained in handcuffs by the civil police who didn't understand the documents issued to him by Mozambique immigration. Thankfully, he was with another young man who was able to help him prove his legal status and he was released. We live in a country that we often don't understand, the system often seems illogical and is so opposite to our system in the USA. For example, here, as in Daudi's case, if there's a question of guilt, you are "guilty until proven innocent." It's no wonder we are so tired at the end of days like yesterday. We can only do this because God has given us such a love for this country and it's people. Thanks for your faithful prayers for us. Here are photos and a short bio of our much loved interns! Please pray for them as they take a break and return to their homes during the month of December. Pray for them to remain strong in their faith, to resist temptations and to continue with the spiritual disciplines they are learning. Pray for them to be salt and light in their homes and communities. All but Daudi plan to return for the second year of the program which means a great deal more leadership and business training and responsibilities for each. Pray for us because we will miss them terribly. Pray for the 4 new interns we hope to add to the program in January. Rafael is our youngest intern and is 18 years old. He came under recommendation of his pastor from the baptist church of Hulene. He is in high school. Rafael is very gifted musically and has been leading our worship services since the first Sunday we started the church. Reginaldo came to work with us on recommendation of the national director of Youth For Christ, where he has been a volunteer. Reg is extremely quiet, hard working and studious. Reading is very difficult for him, but he doesn't let it stop him, even from reading aloud in church! He has a way with kids and all the children in the neighborhood love him. 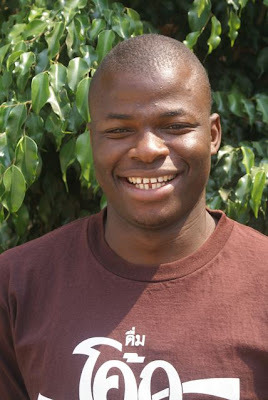 Luis is from a town 1 hour north of Maputo and was sent by his church, The First Baptist Church of Maputo. He is a gifted servant of God. We have seen the most growth in Luis in the area of his preaching skills. 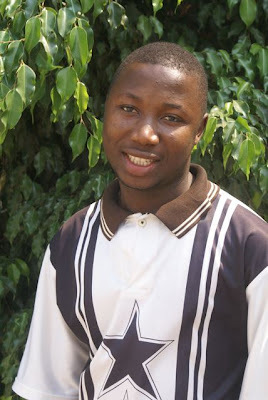 Daudi is from Mbezi Chapel in Dar es Salaam, Tanzania. 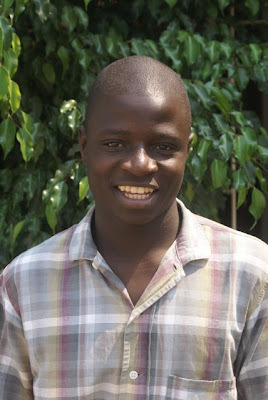 Daudi had the most to overcome as he came here needing to learn Portuguese. He has done so well! He is a gifted drummer and has a very natural way of connecting with children. 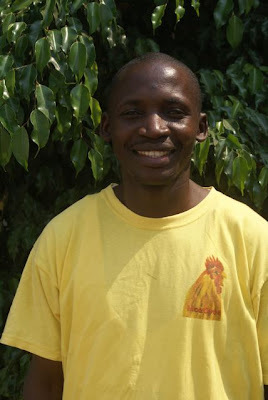 Pray for Daudi as he leaves us to return to Tanzania for a time. Pray for a godly wife for Daudi. Pray that we will be able to help Daudi resolve his citizenship issues. Right now, he is a "man without a country." 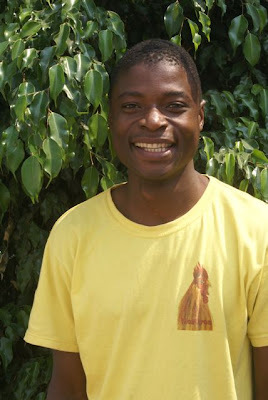 Jose Macuacua is from a small village outside of Maputo. His father is the leader of the baptist church there. 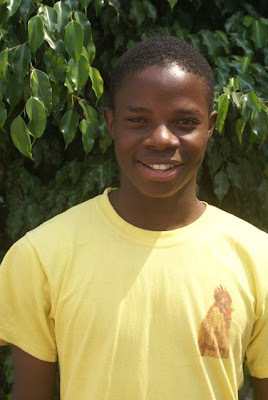 Macuacua came to Maputo to live with family members and go to high school as his village has nothing beyond elementary school. Macuacua was painfully shy and stuttered severely when he came here. He has blossomed into a confident student and preacher of God's word. Pray for Macuacua as he returns to his village in December. He's looking forward to speaking at his home church. Aderito came to us under the recommendation of his church Evangelical Church of the Grace of God. Aderito most definitely has the gift of evangelism. He passionately shares Christ with others and is a gifted preacher. Please pray for Aderito as he finishes up his school year and studies hard for his exams. 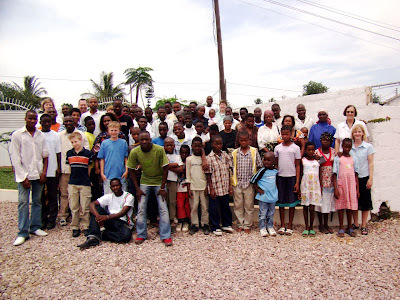 Artur was recommended by his pastor at the Baptist Church of Bagamoyo. He has served faithfully as a leader of one of this churches mission works. Artur is a natural born leader. He is also very insightful and we seek him out for advice all the time. He is passionate about God's word and is an extremely gifted speaker as well. The problem with "blogging" is that some of us just aren't very good at it! :) We are now more than a month since our last blog and many, many things have happened. Good things and bad things. Today, we will choose to celebrate and praise the Lord for the good things. We'll give you "snippets" of our life this past 5 weeks. Andrew-we were able to spend a week with Andrew in Kenya. He's doing very well in all areas of school life. Stephen-Makes us laugh, has lots of friends who are here to play every day, is now the proud owner of 2 chameleons and 2 other lizards that look like miniature dinosaurs. MozOvos-the egg business is doing well. Our "ladies"(what we call the hens) are producing over 60 dozen eggs a day. We are all working hard to sell them, get contracts with restaurants and stores, etc. We are still waiting on many more hens to arrive. We'll try to write again this week and share some prayer needs! In the meantime, enjoy the photos and short video of our celebration service! Both are poor quality due to the fact that our good camera has been stolen. Pay close attention to the little guy in the red shirt! The people are singing "Our Jesus is Good."